Several Canadian provinces offer Canadian Permanent Residency nominations for individuals in semi-skilled professions in manufacturing, transportation, food and beverage, and hospitality occupations. These provincial nomination programs (PNPs) are designed to support economic growth by attracting work-ready immigrants to the provinces. 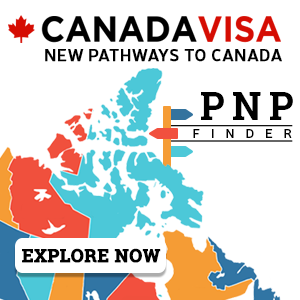 In general, the goal of any PNP is to simplify and speed-up the process of bringing newcomers to Canada. These programs are intended to assist Canadian employers with critical labour shortages that cannot be filled by local residents. Employers also must meet certain requirements in order for the applicant to satisfy all the PNP criteria. Below is an overview of the provincial nomination programs that offer semi-skilled workers the opportunity to apply for Canadian permanent residency. Alberta employers have been suffering from chronic labour shortages in many industries so this immigration category is designed to help alleviate them. Attorney David Cohen, of the Canadian immigration law firm Campbell Cohen explains that the wider range of eligible occupations for the Alberta PNP is an opportunity for those who may not have qualified for Canadian immigration under the Federal Skilled Worker category. "This opens the door to Canadian immigration for individuals who have the skills that are in demand in Alberta," says Attorney Cohen. You will qualify for Canadian permanent residence through the Alberta PNP if you are working in Alberta on an LMO-based temporary work permit, have completed a minimum of high school education, and have a permanent, full-time job offer from an Alberta employer in an eligible semi-skilled occupation. … and too many others manufacturing occupations to list! The British Columbia PNP offers a Strategic Occupations Stream that invites applications under the Entry-Level and Semi-Skilled categories. Applications will be considered only for select occupations in the tourism/hospitality, food processing and long-haul trucking industries. These positions normally only require education up to a secondary level (high school). To qualify you must have a job offer from an employer in British Columbia that cannot be filled by a Canadian citizen or permanent resident. The tourism/hospitality, food processing and long-haul trucking industries play a key role in BC’s export-oriented economy, and are experiencing acute and persistent labour shortages. These industries have demonstrated that they will be unable to meet their on-going workforce requirements without the ability to retain foreign workers through permanent immigration. The Northwest Territories nomination program (NTNP) has a Critical Impact Worker Category for workers in the hospitality or service sector. To qualify under the Critical Impact Worker category of the NTNP, an applicant must have a permanent full-time job offer from a Northwest Territories employer in a hospitality or service sector occupation (NOC C or D) and have worked in the position in the Northwest Territories for 6 months (on a temporary work permit). The Saskatchewan PNP has immigration categories specifically for Long Haul Truck Drivers and those working in the Hospitality Sector. To qualify as a Long Haul Truck Driver, an applicant must have a temporary job offer from a Saskatchewan trucking firm; be eligible for a work permit; have a valid trucking license on par with a Saskatchewan Class 1A drivers license; have at least two years of trucking experience, be able to travel to the United States, if required, and have reasonable communications skills in English. To qualify as a Critical Impact Worker under the Yukon PNP (YNP), the applicant must have a permanent full-time job offer from a Yukon employer in an occupation that qualifies as NOC C or D. In addition, the applicant must have worked in the position for 6 months on a temporary work permit or a score of 55 or better on the YNP Pre-Assessment. If you are a semi-skilled worker in Canada, click here to find out if you qualify for permanent residence.